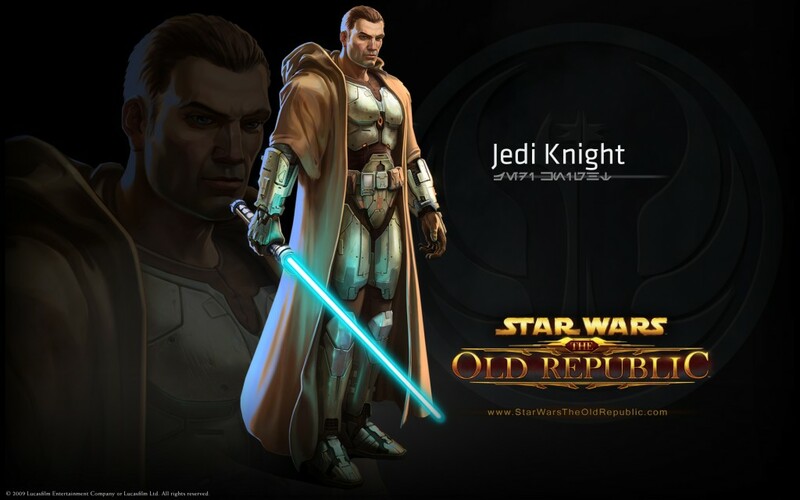 Jedi Sentinels were often considered a blend between the Consulars and the Guardians. However they were more than that. Whilst the other branches focused on what they could achieve with Force powers or Lightsabers Sentinels realised that the Force could only achieve so much and employed other skills and their related fields including security, computers, stealth techniques, demolitions, repair or medicine. Whilst a Guardian may kick in a door and a Consular knock, Sentinels would pick the lock. Whilst many of the Order were hunted to extinction during the Great Jedi Purge, Darth Sidious believed that many of the survivors would be Sentinels because of their unique skill sets and ability to go undetected for so long. Whilst the New Jedi Order didn’t reinstate the title, Grand Master Luke Skywalker considered some of his Jedi filled the role. When many of the Order were slaughtered during the reign of Darth Krayt the Sentinels that survived felt personally responsible for the failing to see the rise of the Sith and began to hunt down members of the One Sith (The New Sith Order). Jedi Combat, through years of training these Sentinels mastered the art of wielding dual lightsabers in combat. Jedi Investigator, Specialised trackers and spies the Investigators worked with law enforcement to track down criminals, investigate crimes and went undercover within criminal organizations. Jedi Recruiter, Their primary responsiblity was to track down other Force users, and to test newborns for Force sensitivity. Jedi Shadow, Going further than the Investigators the Shadows were responsible for hunting down and destroying anything and everything related to the Dark Side of the Force and it’s users. The closest thing the Jedi had to assassins. Jedi Watchman, Took on responsibility for whole planets or Systems ensuring that there was peace and helping better the societies found there, protecting the rights of it’s citizens. Tradtionally Sentinels used yellow Lightsabers and often dual wielded. Noteworthy Sentinels include Bastila Shan, Visas Marr, Atton Rand, Kam Solusar and Kyle Katarn. Guardians was the name given to the branch of the Jedi Order who’s skill lay in battle and warfare whether as a soldier or a leader of men. Their role within the order has remained consistent through the Orders history. Guardians concentrating on combat training and more martial pursuits, took part in battle more than the other branches of the Jedi. Able to trace their beginnings back to the Orders founders on Tython they took it upon themselves to defend the weak and uphold the law of the Galactic Republic. As a result they often wore their lightsaber openly. It was recommended that Guardians spend up to three hours a day training, honing and practiscing their skills. A policy that was necessary during the early days of the Republic, because of the instability of it’s members and the organization. 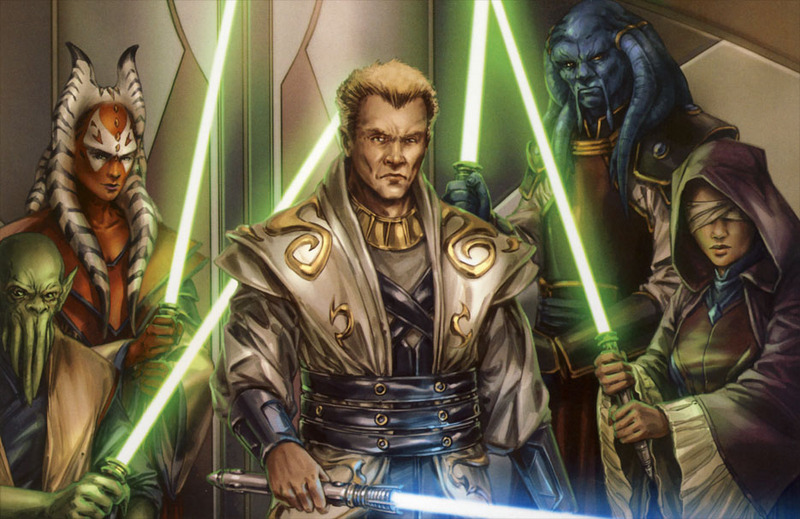 After the Ruusan Reformation the Guardians took on a greater role when the Republic Army was disbanded and the Jedi were entrusted with the role of Defenders of the Republic. Working closely with militia and police forces of the Outer Rim Territories and the borders of Wild Space, the Guardians worked hard to curb the slave trade and the smuggling operations. They often carried wrist binders as a result. Exotic Weapons Specialists, Often trained to use weapons other than the traditional lightsaber, though they were rare in the order, they often used double-bladed lightsabers, lightsaber pikes, flails, whips, and blasters. Lightsaber Instructors, responsible for teaching the use of Lightsabers and combat to the Initiates, Younglings and Padawans of the Temple. They also recommended Jedi for the role of Instructor to the Jedi High Council. Jedi Ace, A member of the Jedi Starfighter Corps, the Aces were gifted pilots and dogfighters. A variety of starfighters were used depending on the Orders history and the individual skills of the pilot. They often worked with local defence fleets and the Republic Navy. Jedi Peacekeepers, Exactly as they sound, the Peacekeepers kept the peace, especially along the Outer Rim. They assisted local police forces and militias and as a result were probably the most recognisable members of the Jedi Order. The Peacekeepers on Coruscant made up the Temple Security Force, protectors of the Jedi Temple and the Temple Precinct. Guardians traditionally used blue lightsabers, as a symbol of solidarity and uniformity, though it was not required. Noteworthy Guardians include Luke Skywalker, Anakin Skywalker, Qui-Gon Jin, Obi-Wan Kenobi, Mace Windu, Plo Koon and Juhani. 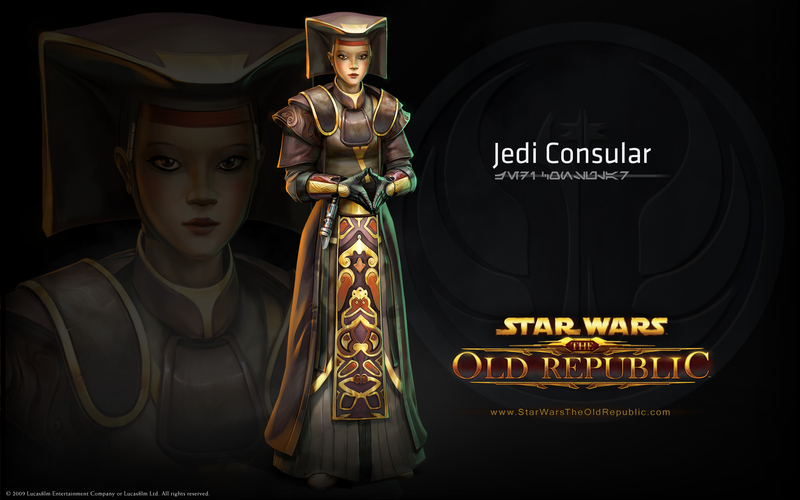 Jedi Consulars are lead by the Council of Reconciliation, seeking diplomatic means of spreading peace and harmony through the Galactic Republic in accordance with the Jedi way. Refusing to draw their lightsabers except as a last resort many Consulars were considered as good as the Guardians when it came to swordplay. Consulars roles have remained consistent within the Order throughout it’s history. Many of the Councils members and Grand Masters have been drawn from the ranks of the Consulars including Yoda. It is said what the Guardians could achieve through combat the Consulars could achieve with words. With a focus on mental refinement, studying the mysteries of the Force and meditation the Consulars believed they could calm tense situations and mend broken relationships via civil discourse, reasoning, and parley, rather than resorting to combat. As a result of their focus on mental refinement, many Consulars were hugely powerful Force users and resistant to mental assault. Whilst they worked with the Republic Diplomatic Corp, they were not limited in their field. Many Consulars taking up the roles of Teachers, Seers and Healers. Jedi Ambassador, Served as liasons between newly discovered worlds and civilisations and the Galactic Republic, As a result they were considered the face of the Republic. Jedi Artisan, An unusual and rare path Artisans used the Force to craft works of art, including Lightsaber hilts. Jedi Diplomat, Unlike Ambassadors, Diplomats were responsible for writing treaties and resolving disputes between planets. Jedi Healer, Lead by the Circle of Jedi Healers, they drew upon the Force to preserve life and cleanse wounds and impurities. Working closely with the Medical Corp Healers could often be found upon the battlefield. Jedi Lore Keeper, Made up of three groups the Archivist, Historian and Librarian they were responsible for maintaining the Jedi Archives and Holocrons. If you want to know anything these were the people to ask, as many Padawans discovered. Jedi Researcher. Specialists serving the order by updating the Archives maintained by the Lore Keepers. Researchers were often mathematicians, biologists, astronomers and hyperspatial physicists. Jedi Seers, Seers are gifted with pre and post cognition, often seeing glimpses of things to come or things which have already transpired. 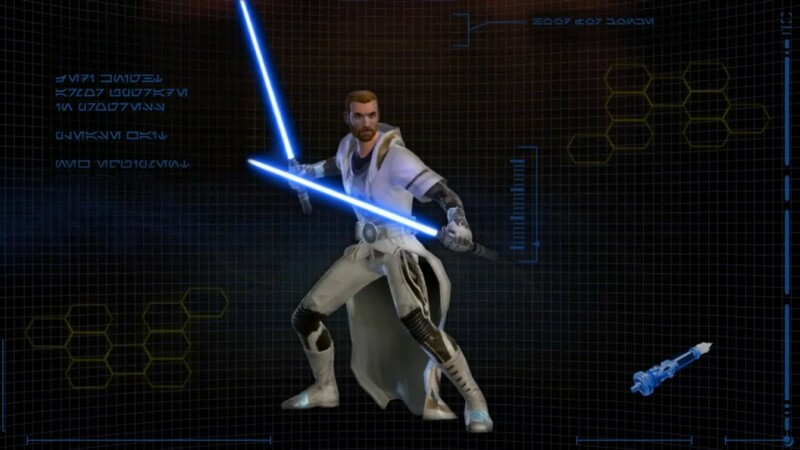 Jedi Prophets are a rarity amongst the Seers, and are able to divine such things as the Prophecy of the Chosen One. Consulars traditionally used green lightsabers, the colour indicating their dedication to peace. Noteworthy Consulars include Yoda, Jolee Bindo, Kit Fisto, Shaak Ti and Barriss Offee.